We get clients who always want a facelift to their site – which is awesome! Yet it is always a downer when we hear they have their site hosted at godaddy, why you ask? The hosting site does not have cpanel but its own version of cpanel which limits the uploading and maintaining of certain CMS. Not only does that seem like a turn off the company also claimed to support SOPA. What is SOPA? SOPA stands for Stop Online Piracy Act. It is basically a bill that states Attorney General would have control to cut off select websites from search engines like Google. Digital Censorship. They can and are allowed to block your site from search engines. Sites like GoDaddy claim to support this censorship act and in turn users have claimed December 29th as Dump GoDaddy Day. Many hosting sites (and with much better service) have been giving discounts to users who transfer their domains to their services. One site is our favorite/domain site: Dynadot – they have a $6.99 domain transfer special. As a result of the boycott GoDaddy, the domain registrar reportedly lost 20,000 accounts in a single day following the SOPA outrage. NOW GoDaddy claims to be AGAINST SOPA.We have never personally used GoDaddy and we don’t suggest clients to use their service. Instead, if you are looking for cheap nice domain registering: we suggest Dynadot. Their hosting is nice as well. 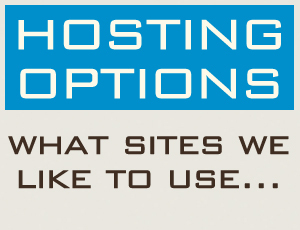 If you need some major hosting with tons of perks we suggest Surpass Hosting. We use Surpass since 2006 and they have amazing tech support! Domo (pronounced Doe-moe) Box: whether your company just needs a face lift from it’s current brand or you are venturing on a new project – we can help!